The Titoku Hot Springs are a series of 8 jacuzzi style pools cascading down and decreasing in temperature from top to bottom, each pool is equipped with handrails for safe and easy access to the thermal pools. Capacity of the pools range from 6 to 20 people. 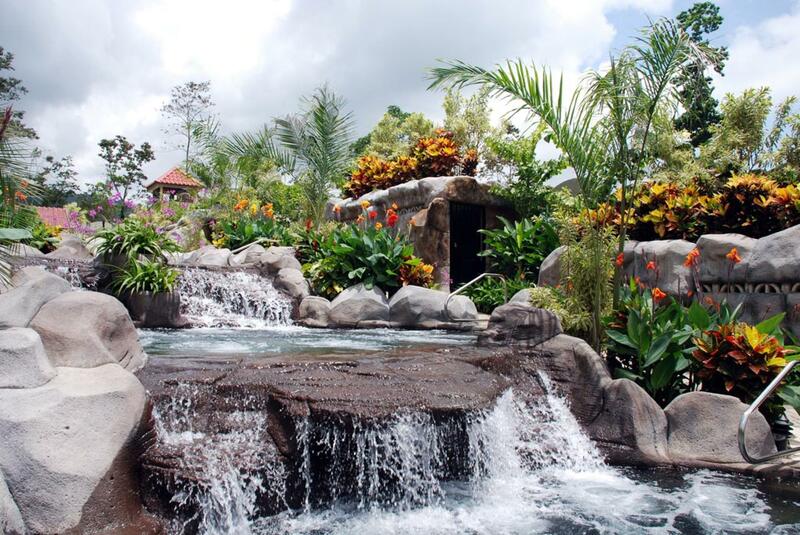 The pools are surrounded with lush gardens and at night are lit with colorful ambient light. On site facilities include a full service bar, indoor and out door seating, showers and lockers in each of the changing areas. Camera, bathing suit, sandals, insect repellent. Entrance fee, showers, lockers, meal (optional). "Loved the fact that there were very few people there. Felt comfortable. The drinks were ridiculously overpriced, but that was somewhat expected." Loved the fact that there were very few people there. Felt comfortable. The drinks were ridiculously overpriced, but that was somewhat expected. It was nice because we were the ONLY ones there but we were really looking forward to mingling with other people.